Pennsylvania Railroad Broadway 8" Plate | Phoebe Snow Company Inc. 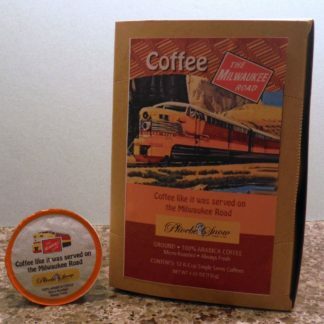 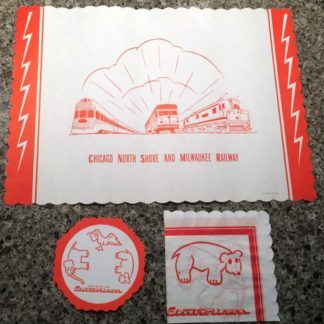 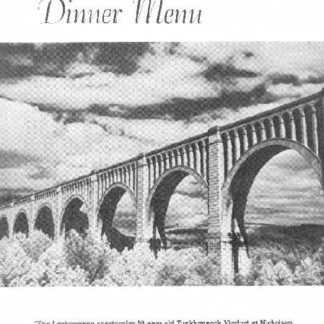 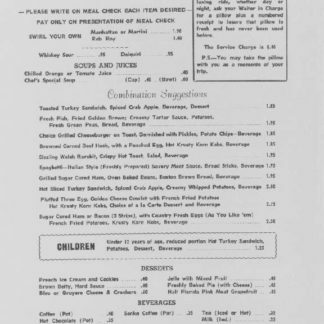 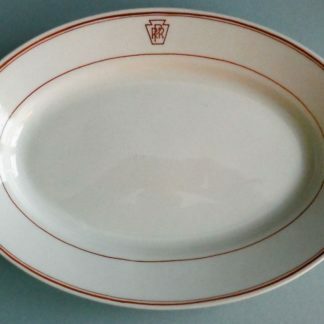 The “Broadway” pattern was used on the Pennsylvania Railroad exclusively on the famous New York – Chicago Broadway Limited and was part of the styling introduced by famous industrial designer Raymond Loewy. 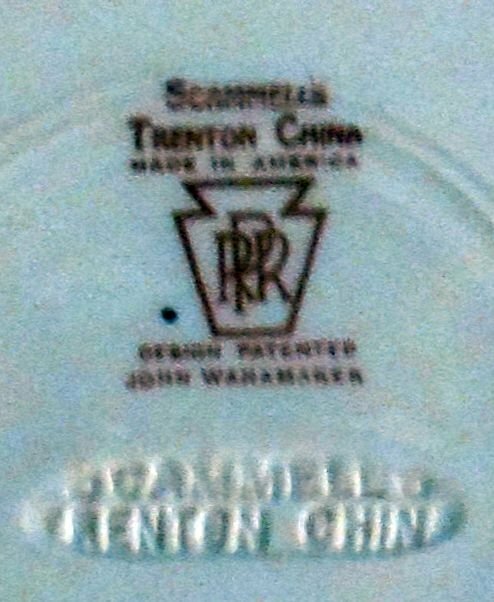 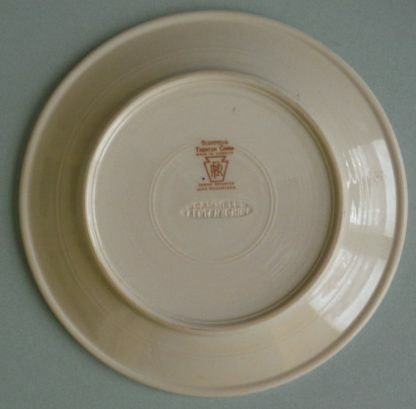 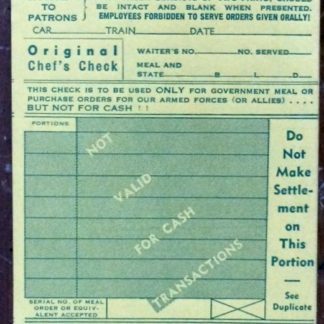 This pattern represents the streamlined version of the train introduced in 1949.This plate was produced by Scammell’s Trenton China and was furnished to the PRR by John Wanamaker. Backstamped with the PRR keystone. 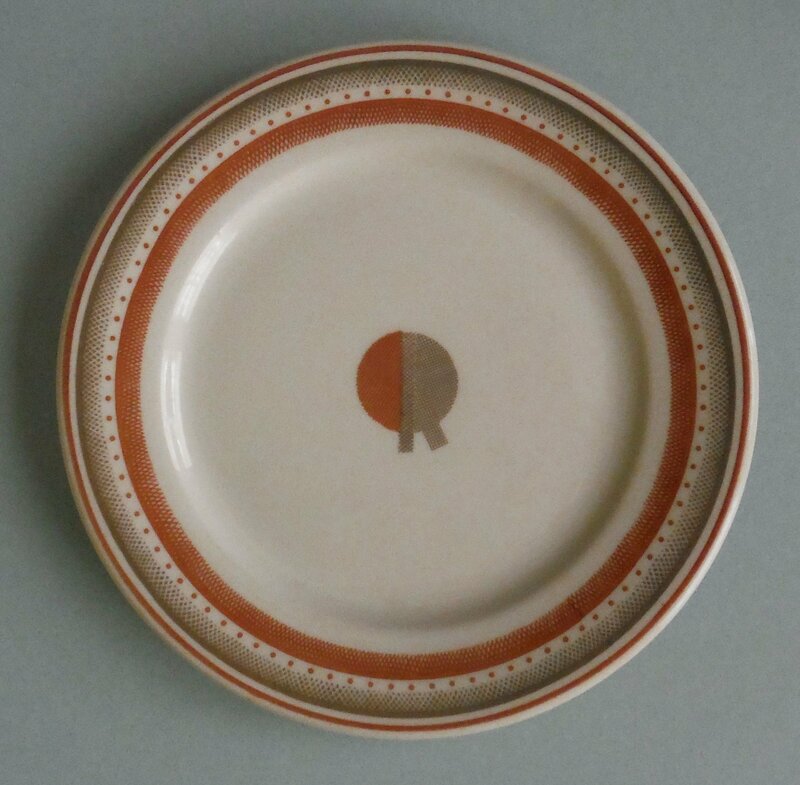 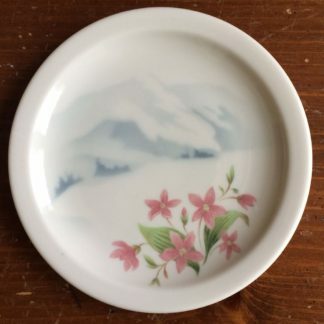 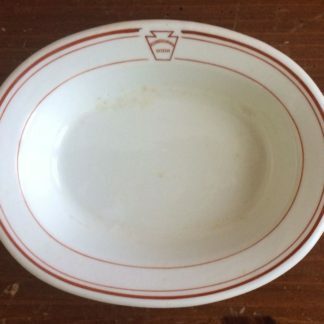 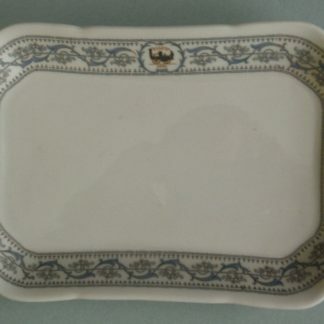 This piece is in good used condition – there is glazing loss in the center of the plate.